We wanted to follow up our tradeshow with a series of interviews with some of the vendors that were here. We’ve already done the RSA and LaserBlast (see www.seskate.com/blog if you missed them). Today we have a great one with Roller Derby. We talked to Tony Muse and also Will Marion. We’ve inserted a couple of editor comments in here, along with some pics of the new skates they talk about. Feel free to forward this along to your skating buddies or customers. . . QUESTION: You go to a lot of events, do a lot of traveling, and really try to be out there, visible, supporting the skating rinks. What are you hearing from the rinks as the busy season gets ready to start up? What are the rinks saying? Will Marion: Comments from the show would indicate that their business is getting better as the season progresses. Some felt September was softer than usual but please with the current level of business. Tony can answer this as well since he’s involved with his family in the business. Tony Muse: I come from a unique position in that I do get to travel to the shows and events and at the same time, my family owns and operates a few rinks back home. Because of that, I get to see it and hear about it at the same time. The energy at the rinks that I talk to is still very positive. There is the normal “football Friday” keeping a few rinks slow but many have shifted to a Saturday night that does what the Friday used to. Most rinks are doing everything they can to squeeze in more birthday parties as demand for those are high. For skate sales, it really is dependent on the area of the country as I really hear a difference in what works in different areas. QUESTION: What are some of the new items Roller Derby / Pacer / Tour are introducing to the market? What kind of feedback have they received? Has anything specific stuck out? 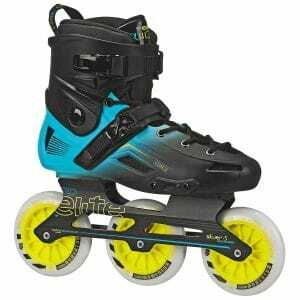 Tony Muse: We just introduced our Alpha 125 and 110 skates which we are excited about. 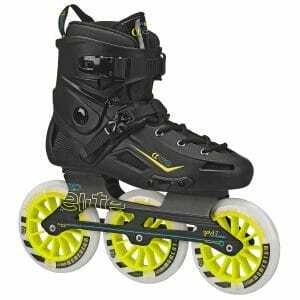 The 3 big wheels catch everyone’s attention and with the quality of the support we have in the skates, they are really easy to use. Not only do I love skating on them, but my wife and kids have given them high praises as well. 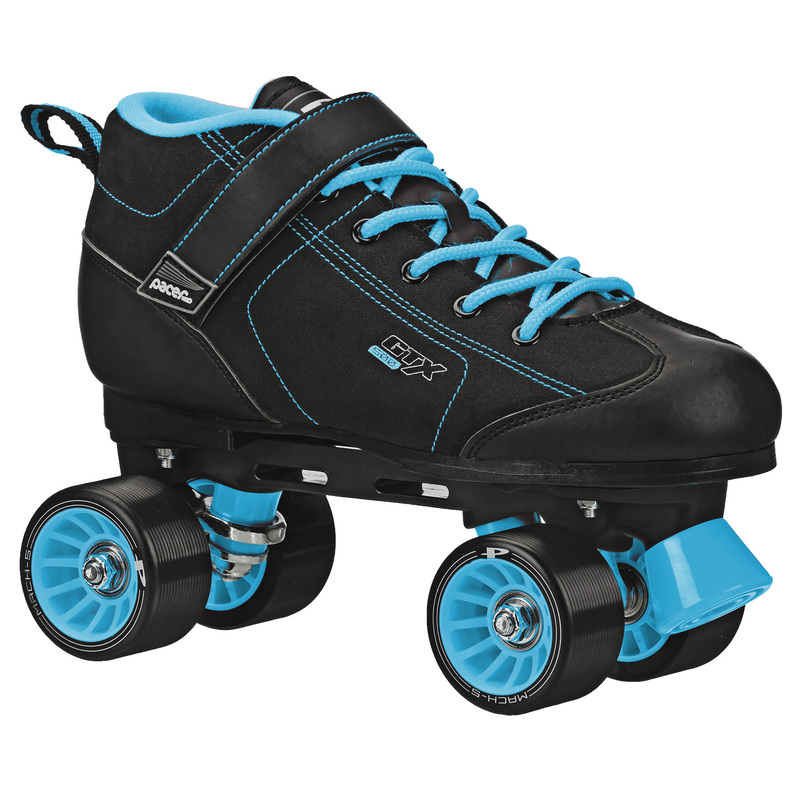 Our Inferno boot has done really well for those skaters looking for top quality and performance in a roller skate. My brother Dante is one of the most picky skaters I know and he has been nearly impossible to pry away from his Oberhaimer boots but he has been on the Inferno for about a year and he is still amazing on skates. The new colors in the GTX have created some buzz and our reboot of the Comet and Charger will certainly help with gift under the tree this Christmas season. 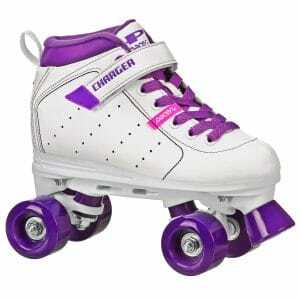 Will Marion: The new models in Pacer are new designs on what are proven popular models – we revamped the Charger – the birthday skate – and the lighted wheel Comet. Both have a very good response from the rinks – the new Alpha models had an excellent response – eye pop so to speak – had a lot of conversation on these – new Tour models will be introduced in 2018 – 39TY, 49TY and 59TA – we didn’t have samples at your show as everything will be 38, 48, and 58 until 2018. QUESTION: Have you heard of any new ideas from the rinks you talk to that sound exciting and that our readers might want to borrow from? Any new profit ideas out there? Tony Muse: I am still a bit shocked at how few rinks have gotten on board with the “specialty” skate rentals. Our family has been renting specialty speed and inline rentals for years (at an additional fee) with great success. I have gotten a few notable rink operators around the country to bring in some skates to try specialty rentals out and they have all came back to me and told me how much of a home run it was for them. I would suggest every rink try bringing in a higher priced specialty rental program in and see how it works for them. 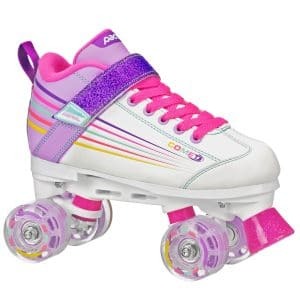 QUESTION: The company name is “Roller Derby”, but you’re also very involved in the SPORT of roller derby. Especially Tony, as a derby skater. What are you seeing at the different derby meets and shows? How is derby changing as we move forward? Tony Muse: The sport of Roller Derby is very near and dear to us as a company because our owned Ed Selzer is family to the creator of the sport Leo Selzer. We were excited to see the sport re-emerge again in the last decade and we try and support as many events as we can in order to help support it. The sport of Roller Derby as a comeback endeavor largely grew through women and the females have embraced it and made it grow to crazy proportions. In fact, the upcoming WFTDA (women’s league) championship will be broadcast live from Philadelphia on ESPN 2. As the sport has grown, the men have followed suit although not in the same numbers as the women and what we are seeing now, a huge emergence of junior and children’s roller derby leagues and programs popping up. Many rinks fear the roller derby adults and the leadership that comes with them but if rink operators have a chance to start a junior program in the area they should jump on it right away as it provides a number of kids with an outlet to continue their love and passion for skating in a team sport which many prefer over individual sports. Outside of the states the growth is great with nearly 50 women’s teams and 40 men’s teams scheduled for the upcoming 2018 World Cups in England and Spain. 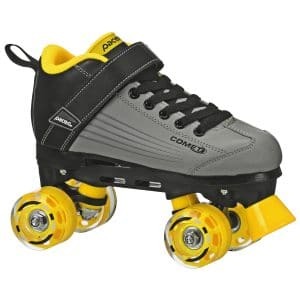 QUESTION: Roller Derby is very involved in the bigger sporting goods stores and mass merchants as a supplier to many of the larger retailers across the world. What do you hear from them as they get ready for the upcoming Christmas shopping season? Tony Muse: We hear that grandma’s and grandpa’s have fond memories of growing up skating and they are excited to be able to share that love for the sport with their grandkids as they give it a try. 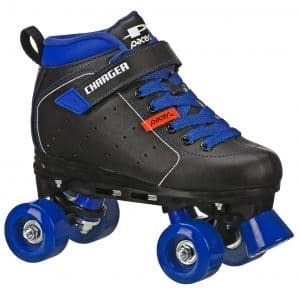 We hear about stores having derby players coming in and not finding suitable grade equipment at some of the box stores. We hear about a generation of new parents who grew up in the skating rink and are finding their way back into skating as they have kids. I hope this helps. I am certain that Will can help in a much greater capacity than I in some of these areas. Will Marion: In general retailers are very carefully watching inventory levels and inventory turns. Fortunately, skates, particularly quad, are performing quite well. The advent of Soy Luna has brought quad skate interest in markets around the world for the first time. Latin American in particular has seen a surge in demand – this was the inline customer of 5 years ago – and this is moving to additional markets – Australia, New Zealand, Japan, Canada – I have inquiries from markets that have been difficult at best to spur interest in the past.